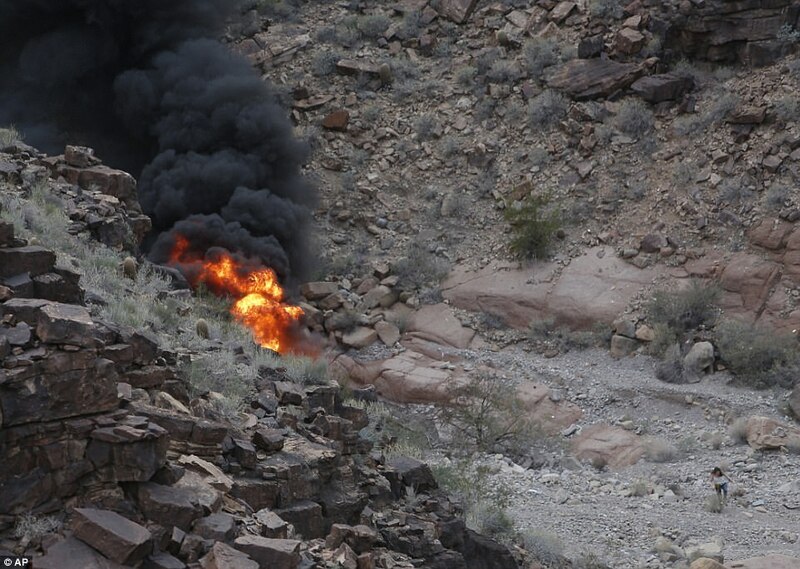 A veterinary receptionist, her boyfriend and his brother were killed during a 'trip of a lifetime' when the helicopter they were in crashed and exploded into a fireball during a sightseeing tour of the Grand Canyon. 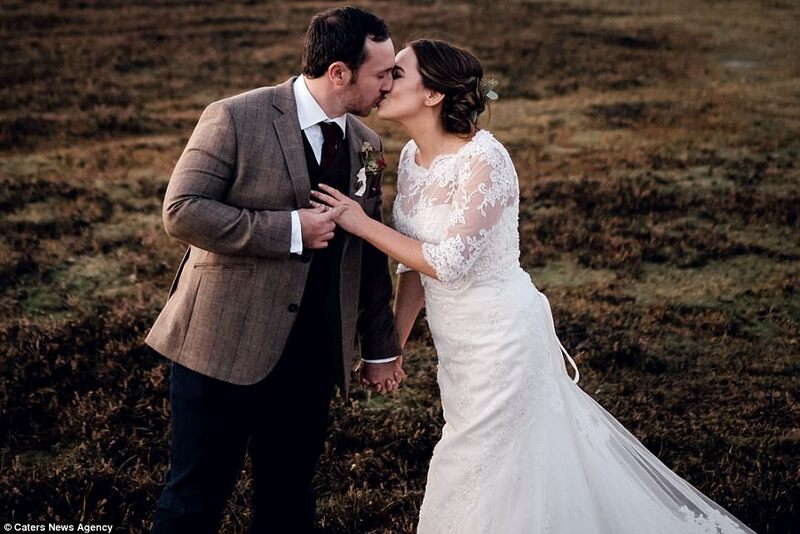 Becky Dobson, 27, her boyfriend Stuart Hill, 30, and his older brother Jason, 32, all died while Jasons' girlfriend Jennifer Barham, 39, and newlywed couple Ellie Milward, 29, and Jonathan Udall, 32 - who were on honeymoon - are in a critical condition in hospital. The three couples had spent a year saving for the trip to America to celebrate Stuart's 30th birthday when their chopper crashed during a 50mph storm on the Hualapai Nation reservation near the Grand Canyon's West Rim. 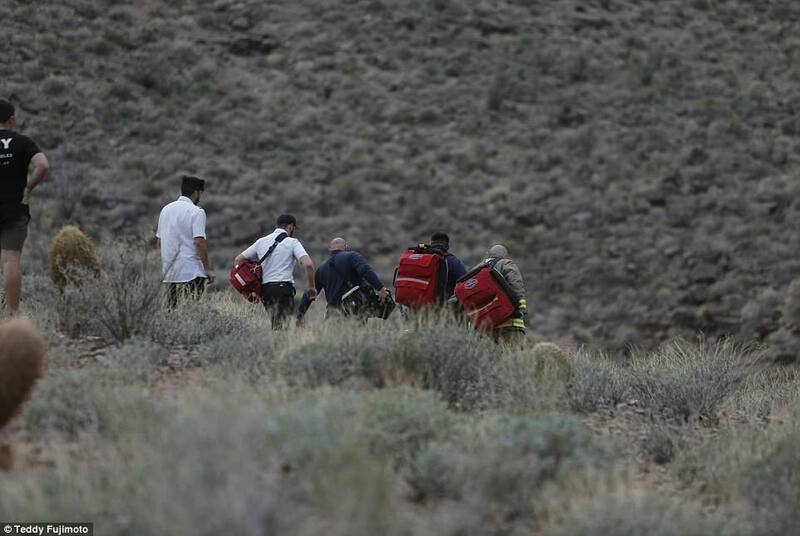 Pilot Scott Booth, 42, was airlifted to hospital where he remains in a critical condition. 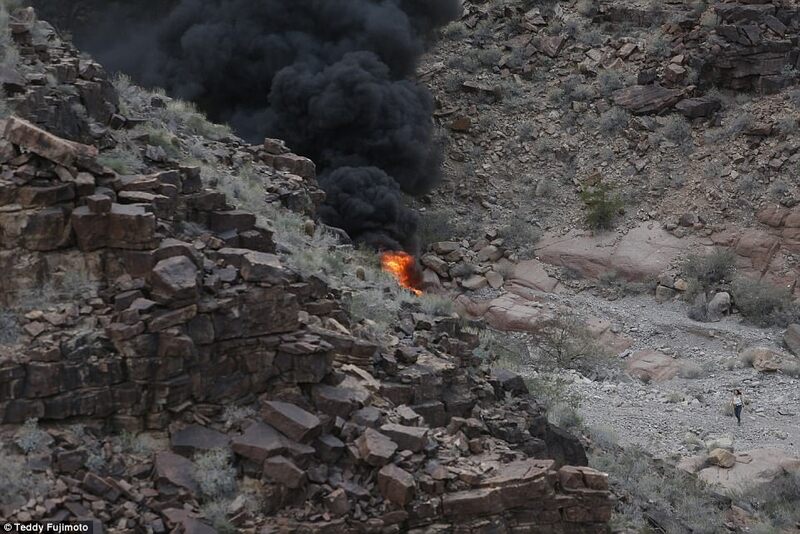 Traumatised witnesses watched on in horror as the chopper plummeted 600ft into the rocky canyon and burst into flames before survivors were seen staggering out of the inferno, with one woman heard screaming 'Jason'. 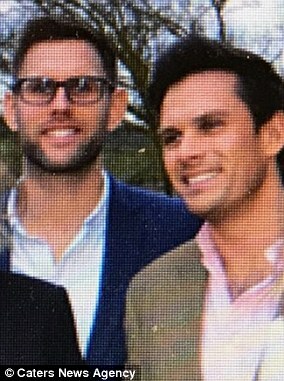 Stuart and Jason's grief-stricken father, Reverend David Hill, said a 'light has truly gone out' but took comfort in the 'incredibly close' brothers dying together. He choked back tears as described his sons, Stuart, a Mercedes car salesman, and Jason, a solicitor, as 'wonderful boys' who were 'inseparable'. Becky's parents received the tragic news as they were enjoying a week-long holiday in Turkey and were flying back to the UK this morning. Her father said she was 'always happy' and looking forward to the trip. 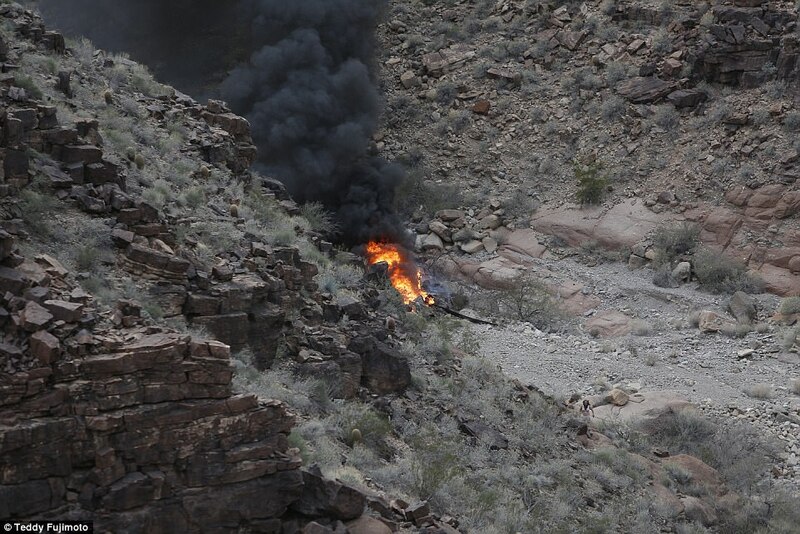 The Eurocopter EC130 crashed in 'unknown circumstances' at around 5.30pm on Saturday, 60 miles northwest of Peach Springs, Arizona. The tragedy occurred just three months after Ellie and Jonathan got married in front of family and friends, including Becky and Stuart. Shoosmiths chief executive Claire Rowe said they were 'saddened' by the tragic passing of a 'respected' and 'loved' member of their firm. Stuart and Jason's cousin, Holly Campbell, confirmed that Jason was with girlfriend Jennifer when the crash took place. She said: 'This is a devastating time for our family. 'We have spoken to my uncle and we all just trying to come to terms with what has happened. 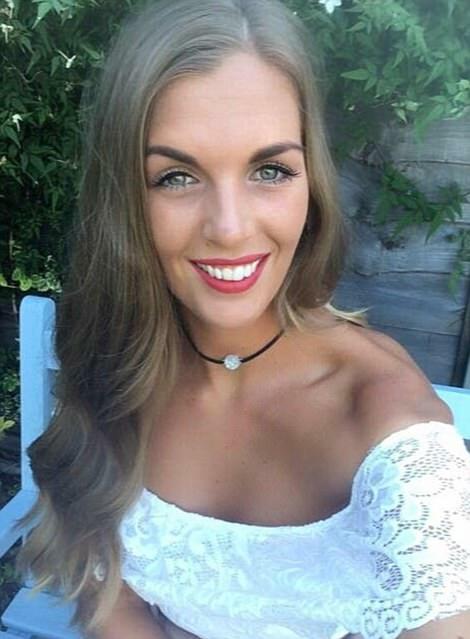 Ms Dobson's father Peter Dobson said his daughter was 'full of life and looking forward to going to Vegas for her boyfriend's 30th birthday to celebrate'. 'She was always happy. They just went for a long weekend; a four-night break. They were staying in Vegas, they had been looking forward to it for a long time. 'They [Stuart and Becky] have known each other quite a while, they both live in Worthing. One witness told ABC News a young woman 'collapsed to the ground and began screaming the name Jason'. The vicar father of two brothers killed in a helicopter crash in the Grand Canyon has paid tribute to his 'wonderful boys'. Reverent David Hill described his two sons, Stuart, 30, Jason, 32, as 'inseparable'. The pair had been saving for the trip with a group of friends for over a year, to celebrate Stuart's 30th birthday on Friday. Mr Hill, a chaplain, from Worthing, West Sussex, said: 'The boys had been saving for over a year for this trip and they were really looking forward to it. 'They and a group of friends had all flown out to celebrate Stuart's birthday and it was part of the trip for them to all go on a helicopter tour of the Grand Canyon. 'We found out yesterday about the crash and me and their mother, Sandra, are truly devastated. 'The boys were so close, they were born 22 months apart and were like twins. They were just inseparable. 'Jason worked as a solicitor and Stuart worked as a car salesman, they both lived very successful lives, we were so proud of them. 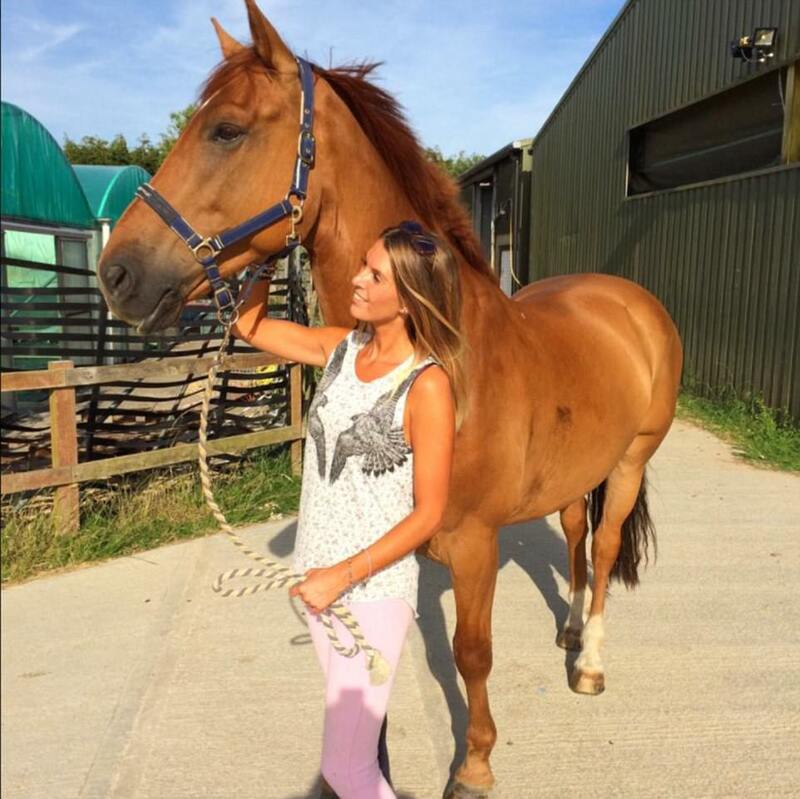 Describing herself on the Vets4Pets website, Becky said: 'My favourite things to do are, spending time up the yard with my four legged, beautiful boy, Buddy the Irish sports horse, seeing friends and family and I also love to travel the world. Becky's parents booked return flights to the UK and her elder sister, Nicola Rugman, 32, was waiting for them to return today. Her mother-in-law Ellen Rugman said the whole family were 'absolutely devastated' by the shocking tragedy and the loss. 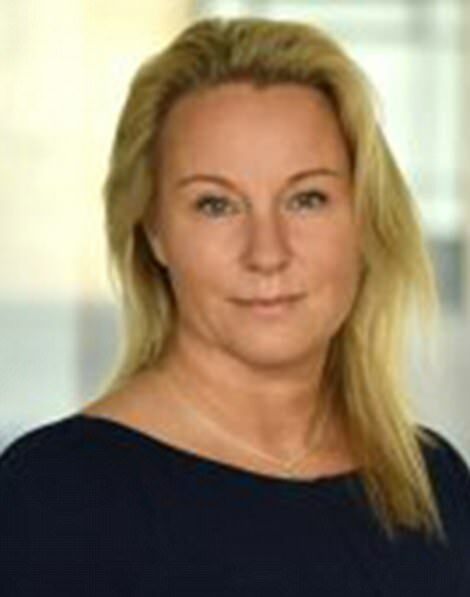 Jennifer Barham, 39, is a partner at the law firm Bircham Dyson Bell. 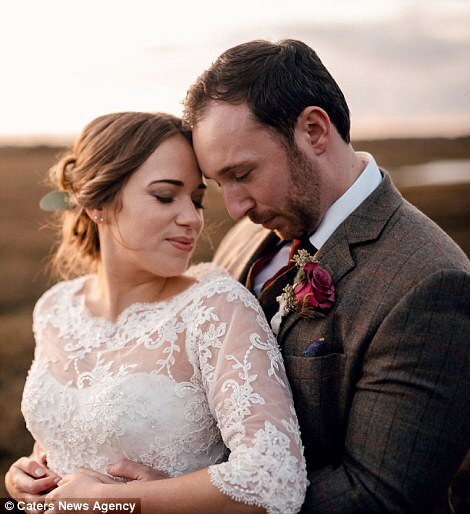 Jonathan Udall, 32 and his wife, Ellie Milward, 29, went on the trip for Mr Hill's birthday and as part of their honeymoon after getting married last year, according to Jonathan's father, Philip. 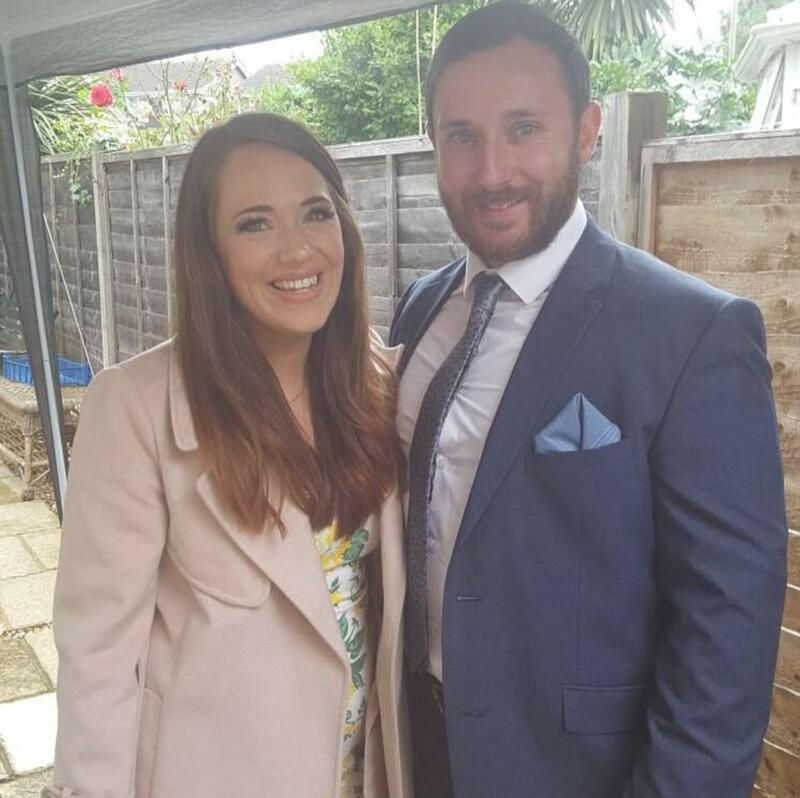 Ellie Milward is an agency support manager for Yorkshire Building Society and works alongside her husband Jonathan Udall, an area manager for the same company in the South East. Speaking from the family home in Southampton, Philip Udall said the family were desperately trying to get a flight over to their son and daughter-in-law's bedside. He said: 'We found out yesterday lunchtime that they Jonathan and Ellie had been involved in an accident. 'We don't know much more than what has been reported in the papers and we are just desperately trying to get a flight over at the moment. 'We have spoken to the hospital and they are in a critical condition but they told us they are currently stable. 'The information is currently quite sketchy but we know that other families will be suffering a lot worse than us at the moment. Others were not so lucky. 'Johnathan and Ellie were on their honeymoon after recently getting married. Jenni Birchmore, a friend and colleague of Ellie Milward, said: 'I'm so, so shocked by this because Ellie and I were only talking about her trip to the US a couple of weeks ago and she was looking forward to it so much. 'I'm just hoping and praying she is going to be alright and she's not too badly injured. She said Ellie was always taking part in charity fundraisers and was a 'beautiful and kind' person. Ellie Milward's parents, Terry and Maggie, are understood to be flying out to the US today to be at their daughter's bedside. 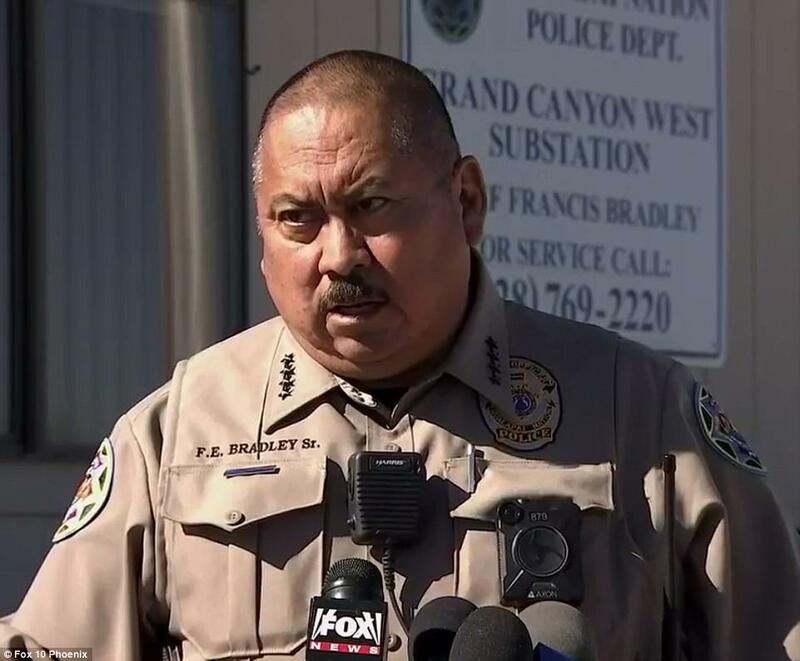 Chief Bradley said rescue crews were hampered by high winds of up to 50mph and darkness on Saturday night along with rugged terrain. Kaitlyn Rodriguez was on the same tour as the six friends and witnessed the tragedy. She wrote on Facebook: 'I was on this tour and moments after our helicopter landed, witnessed the crash. 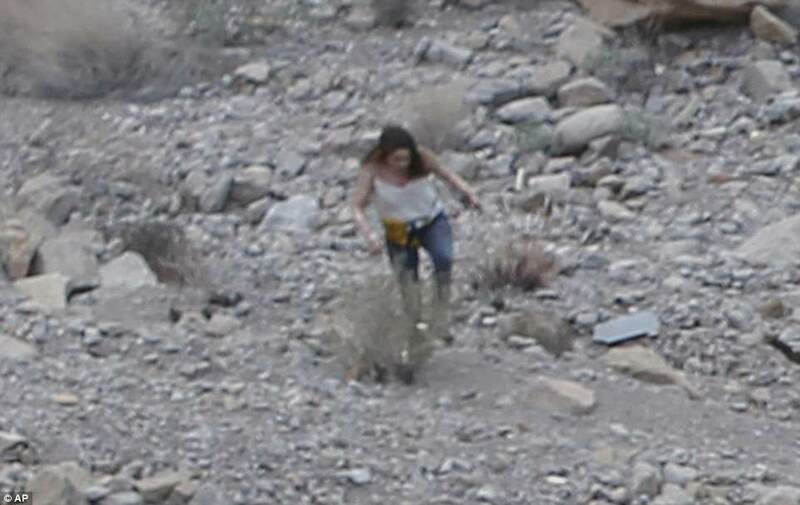 'My amazingly brave mother, along with several others, trekked down into the ravine to assist the survivors. 'We were stranded in the Grand Canyon for hours, my Mom being at the bottom administering medical attention to the survivors for over 10 hours. 'Our pilot and other pilots all started running. I followed them and I saw smoke. Immediately saw two girls. 'I could see that they were alive and conscious. They were in their 30s or 40,' he said. 'People made their way down. It was certainly dangerous and a mazy climb down for them. 'Everybody was in shock. I just felt horrible,' he said. 'You could hear the screaming loudly, even from all that way away. 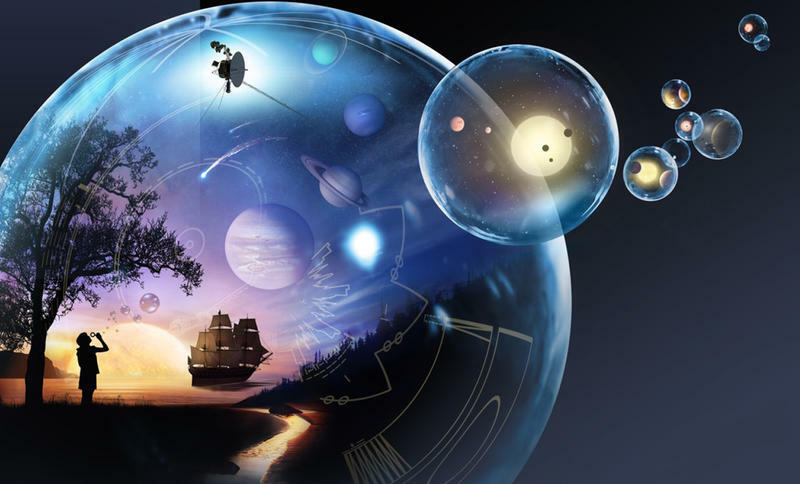 I've never seen anything like it'. 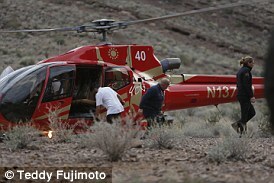 The helicopter was owned by Papillon Airways, a sightseeing company that specialises in helicopter tours of the canyon. The tour company released a statement on Sunday, promising full cooperation with crash investigators and offering sympathy. 'It is with extreme sadness we extend our heartfelt sympathy to the families involved in this accident,' Papillon Group CEO Brenda Halvorson said. 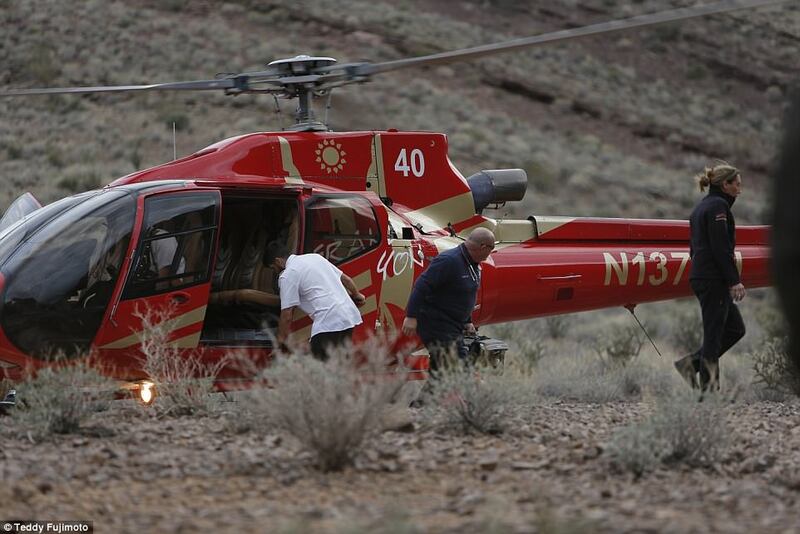 Calls and emails to Nevada-based Papillon, which bills itself as the world's largest aerial sightseeing company, for comment on the crash were not immediately returned Sunday. The company's website says it flies roughly 600,000 passengers a year around the Grand Canyon and on other tours. It also notes that it 'abides by flight safety rules and regulations that substantially exceed the regulations required by the Federal Aviation Administration. Lionel Douglass had been attending a wedding about 1,000 yards away from where the helicopter burst into flames. He told ABC News: 'I had taken my phone and I was zooming in to see if I could see anybody and a lady walked out of the flames and I just lost it. 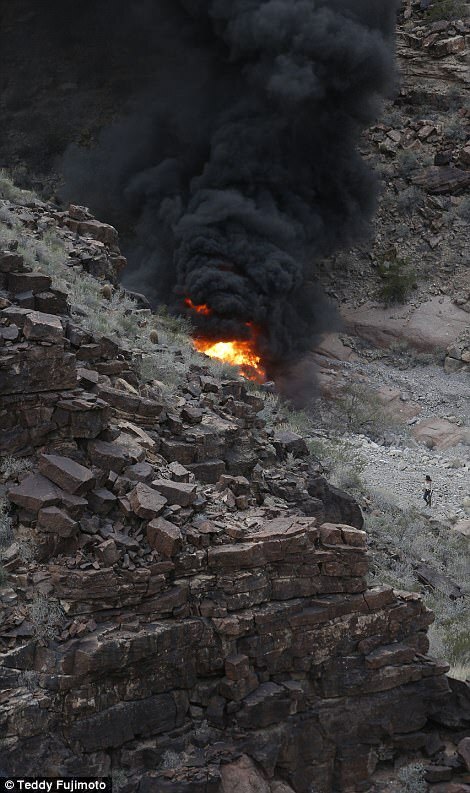 The Grand Canyon helicopter crash that killed three Britons and injured their three friends is not the first tragedy to hit Papillon in recent years. 1999: In 1999, a pilot was killed and an instructor was seriously injured when a Papillon helicopter hit a tree. 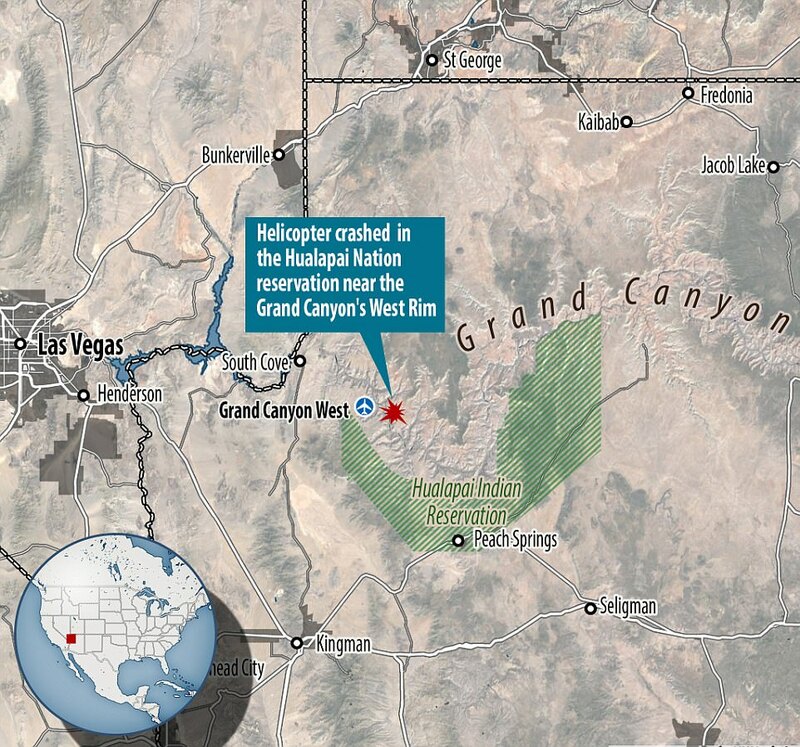 2001: In August 2001, a Grand Canyon tour helicopter operated by Papillon crashed and burned near Meaview, Arizona. The pilot and five passengers - who were all from New York - died. 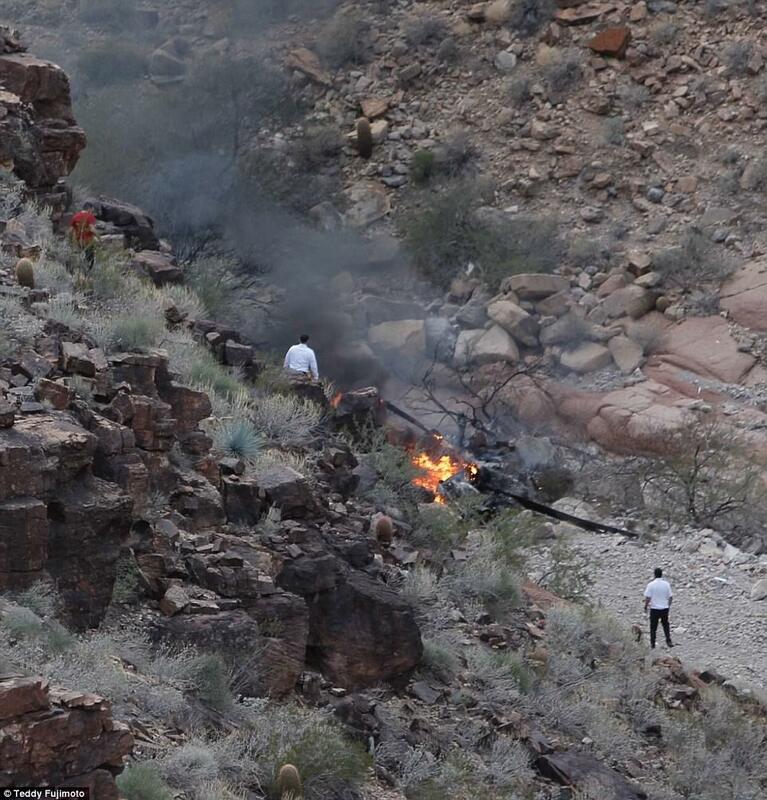 2009: In 2009, a helicopter with six passengers lost engine power after the pilot heard a 'loud pop,' but no one was injured, according to ABC 15. 2002: In 2002, a pilot was killed during a botched landing, according to NY Daily News. 2014: In 2014, one of the firm's pilots died when he was struck by rotor blades when he got out of a running helicopter to go to the toilet, according to ABC 15. 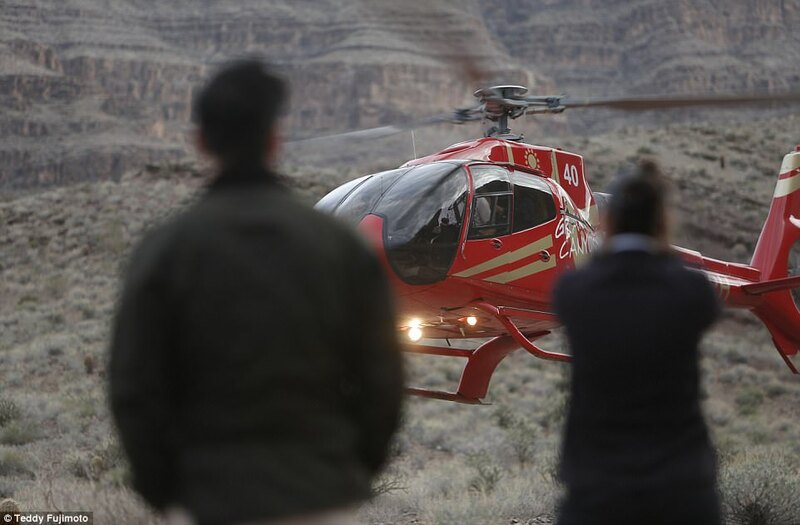 The company's website states: 'With more than 50 years flying the Grand Canyon and beyond, Papillon is the largest and most experienced helicopter tour operator in the world. He said he saw the helicopter fall and hit the bottom with the 'biggest explosion you ever heard and then flames like you never seen before'. Mr Bradley described the weather conditions as 'not normal', but said no flight restrictions were in place. Animal lover Becky Dobson worked as a veterinary nurse at Vets4Pets in Worthing, West Sussex. The 27-year-old had dreams of becoming a veterinary nurse. She had travelled around Australia for one year and was looking forward to the holiday with her friends and her boyfriend, Stuart Hill. The pair died alongside one another in the crash. 'She was always happy. They just went for a long weekend - a four-night break. They were staying in Vegas, they had been looking forward to it for a long time. 'They [Stuart and Becky] have known each other quite a while, they both live in Worthing,' he said. 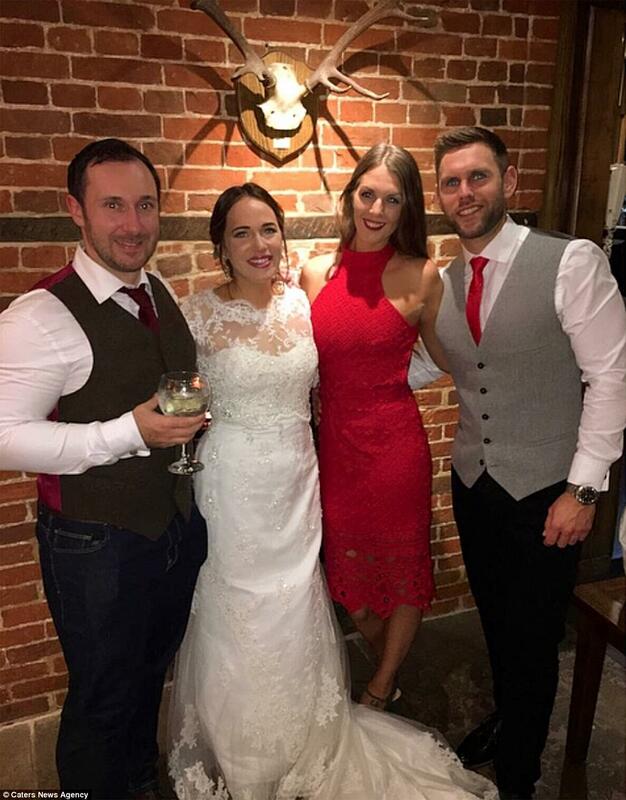 Newlyweds Ellie Milward, 29, and Jonathan Udall, 32, were airlifted to hospital. 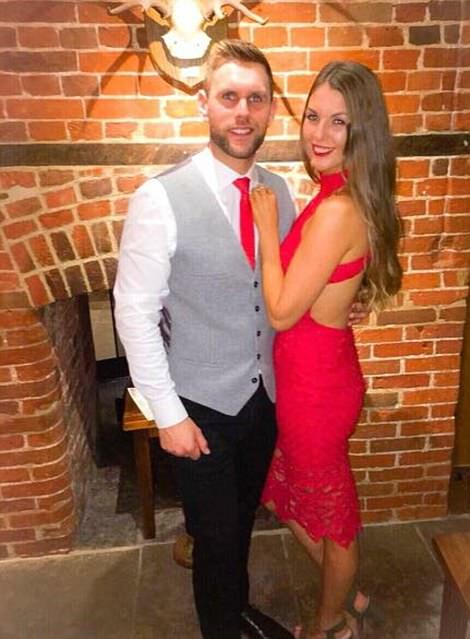 The pair went on the trip for Mr Hill's birthday and as part of their honeymoon after getting married last year, according to Jonathan's father, Philip. Jennifer Barham was on the trip with her boyfriend Jason Hill, who died. The 39-year-old is a partner at the law firm Bircham Dyson Bell, dealing with planning and infrastructure. Stuart Hill, 30, was on the trip to America to celebrate his 30th birthday with his brother and friends. Stuart, a car salesman, died alongside his girlfriend Becky. 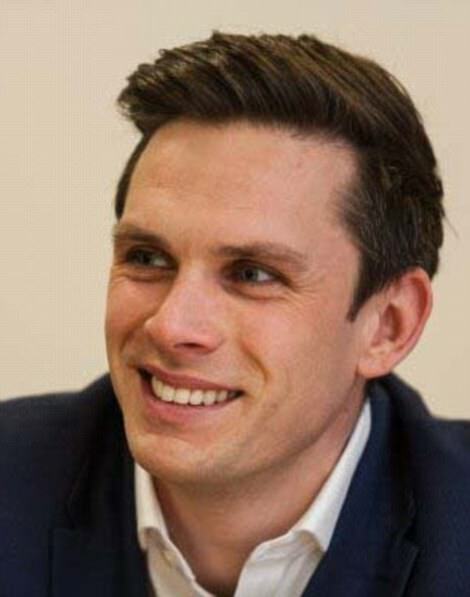 Jason studied law at the University of Southampton, graduating in 2007 with a 2:1. Their father David, a hospital chaplain, from Worthing, West Sussex, said: 'The boys had been saving for over a year for this trip and they were really looking forward to it. 'The boys were so close, they were born 22 months apart and were like twins.. They were just inseparable.